Entry into the hospitality industry is often a two-step process. It is necessary to obtain a liquor licence from the Independent Liquor & Gaming Authority. It may be necessary to apply to Council to obtain or modify a development approval. Service Industry Legal Services provides a highly expert, experienced and coordinated approach to the management of hospitality industry projects such as new hotels, retail liquor stores, small bars, karaoke venues, restaurants and catering operations. 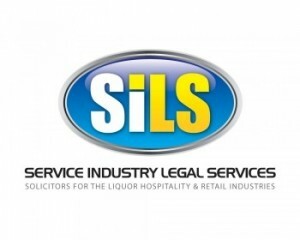 Dru Gillan is the principal solicitor of Service Industry Legal Services. Dru has strong expertise in liquor licensing. Dru has been providing liquor licensing advice for in excess of 10 years. Dru advises clients from all sectors of the hospitality industry including hotel groups, bottle shops, karaoke venues, small bars, wineries, sporting venues, restaurants and caterers. Dru has acted for Hunter Sports, Compass Group Australia and many of Sydney’s finest restaurants and corporate caterers. For highly complex matters, Dru calls on the skills and experience of Charles Shields, who is a consultant to Service Industry Legal Services. Charles has held positions as adviser to the NSW Government on gaming and liquor issues; was involved in the drafting of legislation and advising on policy; and served as the Chief of Staff to the NSW Minister for Gaming and Racing. He was the founding director of the Casino Control Division for the NSW Treasury; a consultant to the Commonwealth Law Reform Commission with reference to privacy; and was employed in a legal compliance capacity for Seagulls Rugby League Football Club. To get advice on your liquor licensing application, you should contact Dru directly on 0423 357 227.